Tired of Manually Printing and Scanning Electronic Documents? AccuPrint saves you the time and frustation of manually importing files into AccuAccount. to instantly import the following file types into AccuAccount. AccuPrint is a great application for banks looking to streamline workflow by reducing administrative efforts. 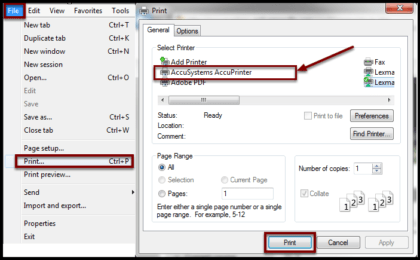 Simply click “print” and select the AccuPrint module from your print menu. You can also drag and drop items saved on your desktop into AccuPrint. Instantly, your document is imported into AccuAccount. This bypasses the need to print out files that are already in electronic format. Instead, you can keep them as digital files and import them directly into your document management system. Save time, labor, and administrative costs. Once installed, an AccuPrint icon will appear on the user’s desktop. The AccuSystems AccuPrinter will also appear in the list of available printers when selecting “Print” from the “File” menu of an application. Select the AccuPrinter and then click “Print” to launch AccuPrint. This action will upload the document in TIFF or PDF format, depending on user’s output format setting. Using the drag and drop feature, individual documents (or an entire file of documents) can be moved over the AccuPrint icon to be uploaded. 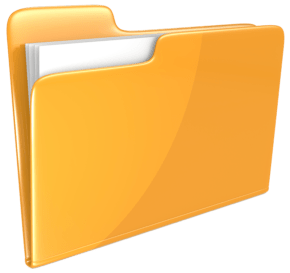 Documents uploaded to AccuAccount using the drag and drop feature will retain their original file formats, such as a spreadsheet or PDF file. AccuPrint has recently been enhanced to seamlessly integrate with our AccuSign tablet signature platform. 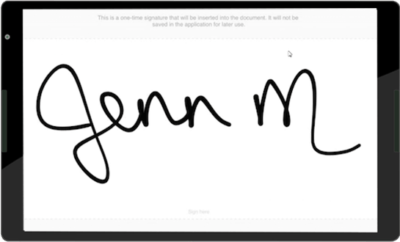 Accept customer signatures on the go with AccuSign and then ePrint them into AccuAccount with AccuPrint. Reduce your reliance on paper by capturing signatures in digital format! AccuPrint will reduce your bank’s administrative workload by hundreds of hours annually. Schedule a free demo of AccuPrint Today.